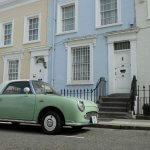 In the UK, there are hundreds of different community projects all with an aim of making their local community better. These groups are often poorly funded and rely strongly on volunteers giving up their free time to help run them. 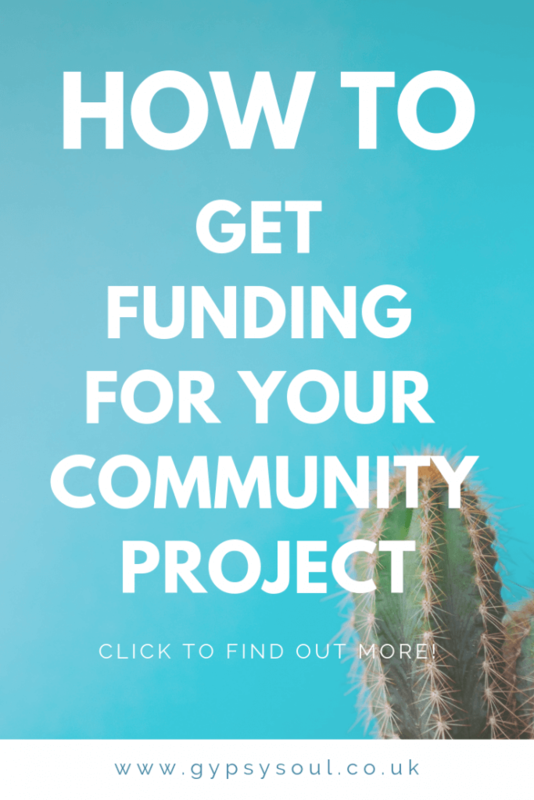 Receiving funding from traditional sources can often be a long-winded and overwhelming process which puts a lot of community group leaders off. Some groups may feel their current problems are too small and not worthy of attention, they might fail or that they don’t have a voice. This is what the Aviva Community Fund is there to help with. The Aviva Community Fund runs annually, offering valuable funding as well as helping groups to build stronger communities at a grass-roots level. 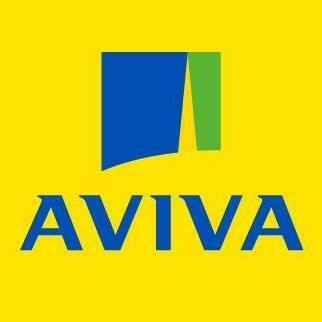 What Is the Aviva Community Fund? 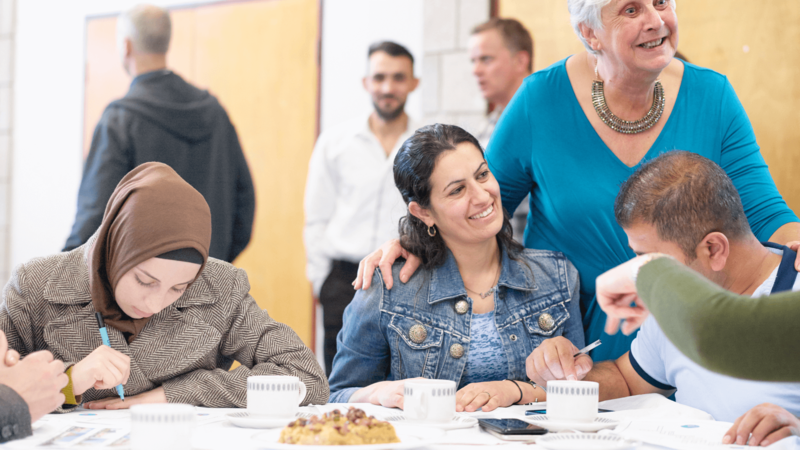 The Aviva Community Fund supports and celebrates groups, aiming to help them to build a stronger community. Whether it’s providing support groups for people with mental health issues, teaching life-changing skills or regenerating community areas, the Aviva Community Fund offers support and practical advice to help as many people as we can to make a lasting difference and bring communities together. The fund is now in its fourth year. Since it began there have been more than 15,000 entrants and more than 2,000 award winners who have benefited from funding to allow them to continue the great work they do in their local communities. So How Does the Funding Work? The Aviva Community Fund invites people to share their ideas for their local community groups, charities or causes in their area that could make a real difference to the local community. 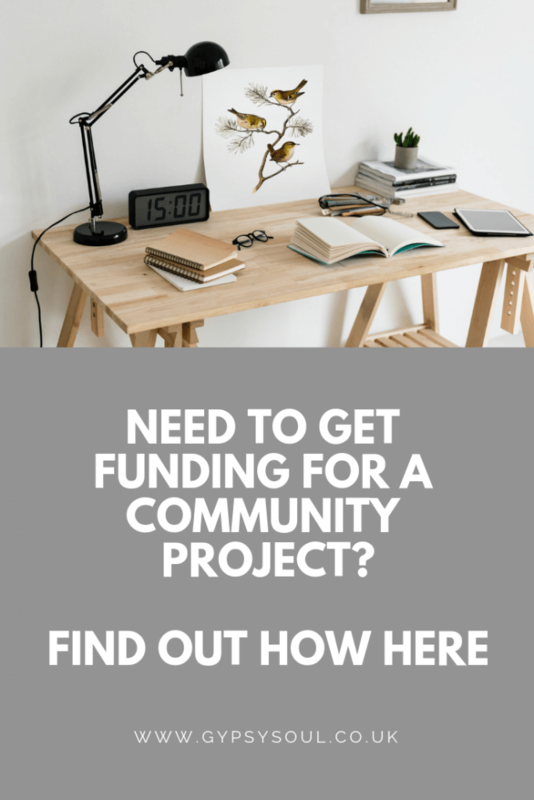 Community projects have the chance to get funding ranging from up to £1,000 to £25,000 as well as access ‘more than money’ support from the Aviva Community Fund such as advice. This includes educational content hosted on the Aviva Community Fund website and a dedicated Facebook community group. 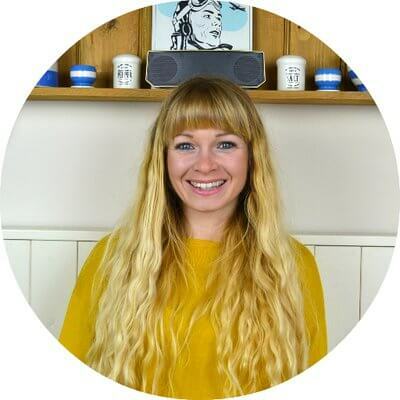 The online content also includes how to write a compelling entry, how to generate awareness of your group via social media or through media and how to capture great photography & video. To be in for a chance of securing funding, local community groups are required to rally up supporters to secure votes for their entry. The Aviva Community Fund can help with this by providing advice such as examples of how to write a press release with which entrants can contact their local media. In 2018, the Aviva Community Fund focused on three different categories: environment, skills for life and health & wellbeing. The environment category is for projects in the community that focuses on trying to improve the natural surroundings. This can vary from improving sustainability to regenerating forgotten community areas. It also covers projects that promote energy efficiency and community food initiatives. The skills for life category covers projects that encourage people to improve their lives by learning a new skill. This could relate to anything from digital to financial literacy. The community projects in this category can help people of all ages and from a variety of different backgrounds. As the name suggests the health & wellbeing category relates to any community projects which aim to improve the health of the local community. This can include physical health, mental health and emotional health. This category also includes people that care for others and those that need care. Aviva asked me to visit a local community project that had previously been awarded funding to see what difference the funding has made to the group. 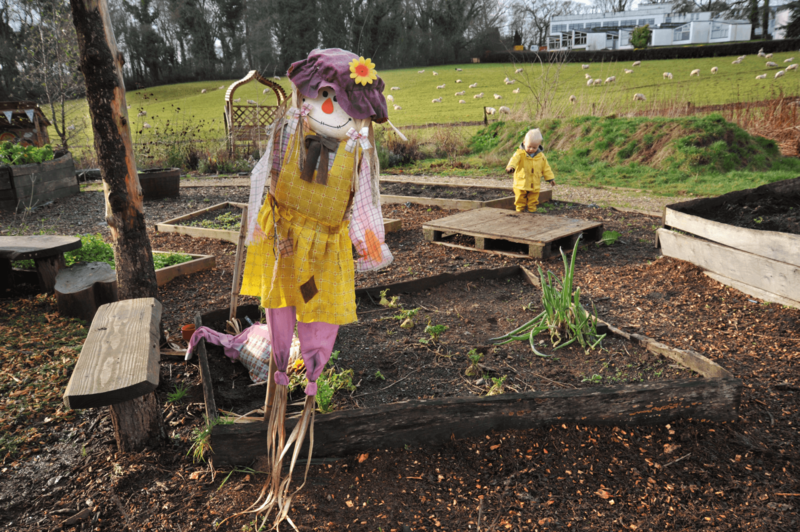 The group I visited, Foxhole Community Garden, is based on the Dartington Estate near Totnes, Devon. 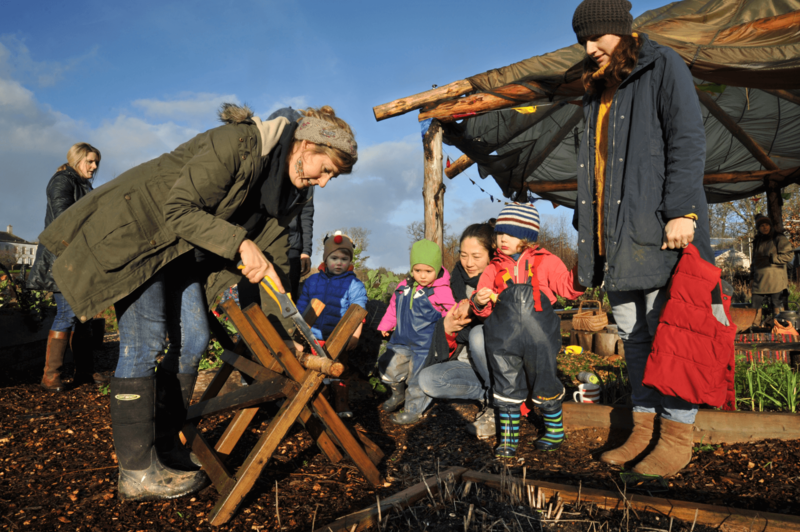 The community garden was founded back in 2015 with two main aims: to provide a safe space for vulnerable groups to enjoy gardening, and to create a thriving community garden offering space for local families and residents to learn about growing and cooking organic produce. 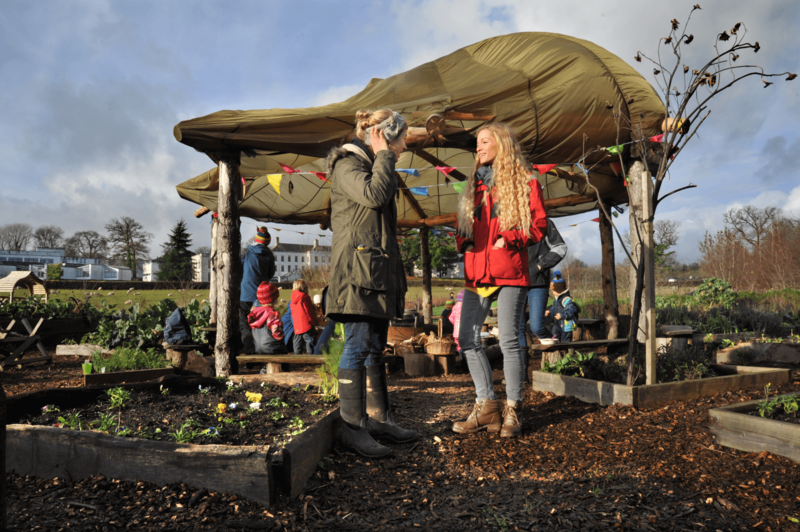 With funding from Aviva, they built a shelter in the garden, so it could be used whatever the weather. When I visited the garden, they were running ‘Fox Tots’. 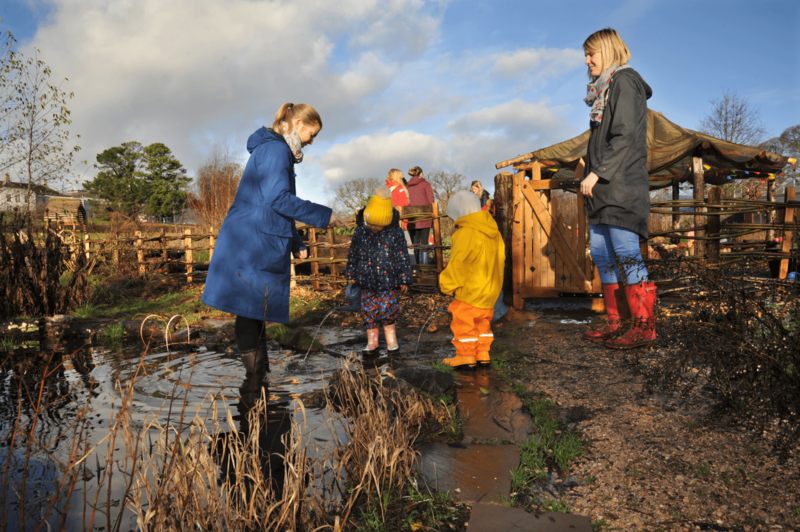 Fox Tots runs on a weekly basis for parents and toddlers, encouraging nature-based play and helping parents get outdoors. On average, the group has up to 15 families per session. 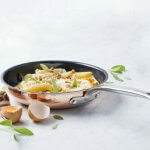 The group is the brainchild of Zoe Jong, a local Mum who believes strongly in growing & buying local produce. After attempting to grow their own food at home Zoe found it too hard to balance with also having to work and be a mum. She decided to create a space where she could bring her daughter, meet with her friends whilst also being in a space where things were edible, beautiful and growing. Zoe wanted the children to get muddy and not be afraid to eat the produce straight from the ground. 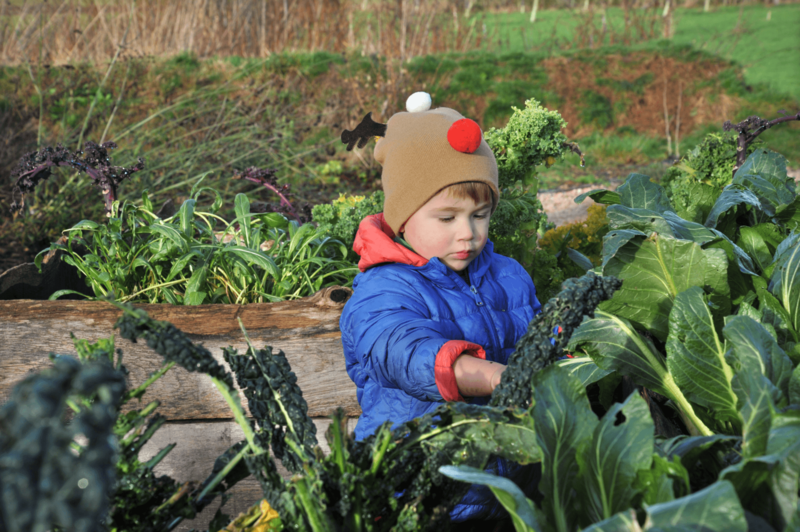 It was great to see the children getting involved in the garden as I feel a lot of children these days don’t know where their food has come from. As well as the toddler group (Fox Tots), Foxhole Garden is also a space for adults with special needs. 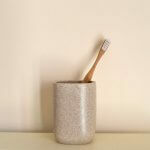 There is always something going on including singing events, cooking events and volunteer days. The Fox Tots group is a perfect example of a local community group that has really benefitted from the Aviva Community Fund. The shelter built as a result of the £1,000 funding is a reciprocal roundhouse. Each beam of the roof rest upon each other which creates the strength and support to keep the roof up. ‘It’s quite a fitting analogy for a community project – each beam bears equal weight.’ Zoe, the garden’s creator, told me. 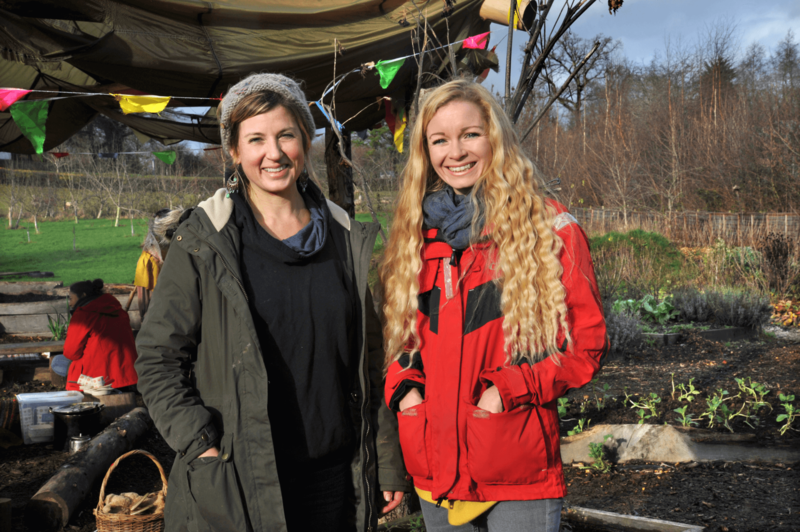 You can find out more about the Foxhole Community Garden on their website here. Don’t forget to check out this year’s Aviva Community Fund Award Winners on https://at.aviva.uk/celebrate, as well as finding out how Aviva are helping to build stronger and more resilient communities, one group at a time. If you’d like to submit a project close to your heart, encourage them to visit the Aviva Community Fund website later this year and submit to secure up to £25,000 in funding. This is a collaborative post with Aviva. It does sound really good, doesn’t it? It was great that I got to see first hand what changes it can make in a local community group too. Oh I had absolutely no idea about the Aviva Community Fund. What an absolutely incredible idea! I’m going to go and check out what other ideas people are having! It’s great, isn’t it! I love things like this that can help people that give up their time for free to help others. I had no idea about the Aviva Community Fund, what a fantastic thing to have. I love how supportive and happy everyone looks, wonderful.